@Philippe: Thanks a lot for the latest update and photos. While coming down, did you have to glissade down, or just hike down ? 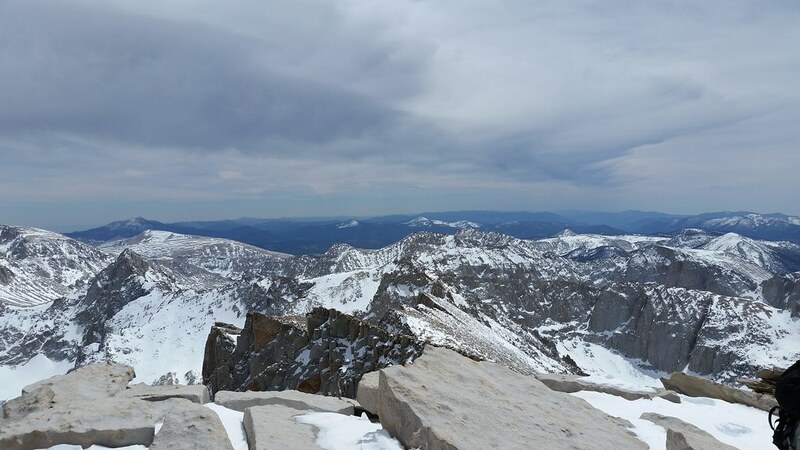 Picture of snow filling the summit hut. The door was off this winter, so during storms, snow blows in and deposits inside. It will take months to melt out. The picture is from a group shared on FB by Shawn Aiden. They hiked the main trail, camping at Outpost Camp. They made it with microspikes and ice axes. The switchbacks were snow covered in July?! I'm hiking this year on July 15th...sure hope there isn't any snow then! The switchbacks will be open way earlier this year. Last year got 3 to 4 times the snow compared to this past winter. Any idea when HM road will open? Just got back from a fun weekend - the conditions were really perfect. Except for a few patches, it was dry trail all the way until above Mirror. 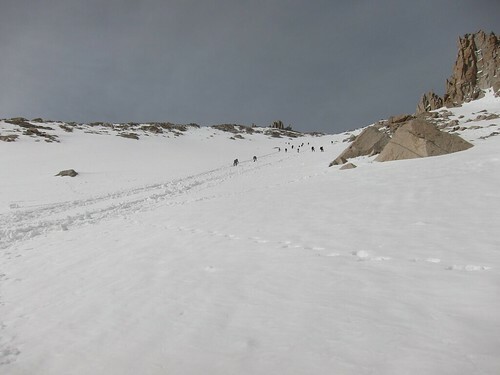 We elected to hike up the usual winter route up the drainage to Trail camp. We summitted 5/5 along with at least 25 other people, the majority of whom were day hikers. That's pretty impressive, especially loaded down with mountaineering equipment. 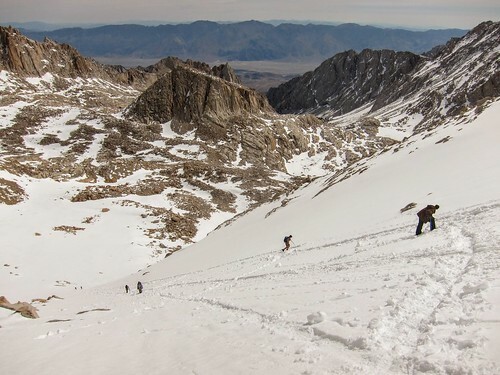 Any predictions of the trail conditions and snow cover in the first 10 days of June this year? I wanna know whether I should get crampons and an ice axe or bring microspikes instead of crampons. I'm leaning towards yes for the crampons. This looks amazing! My group will be heading out there in 2 weeks and we're just a bit nervous about any changing weather patterns. I'm happy to hear conditions were perfect for you! Let's hope it stays that way! 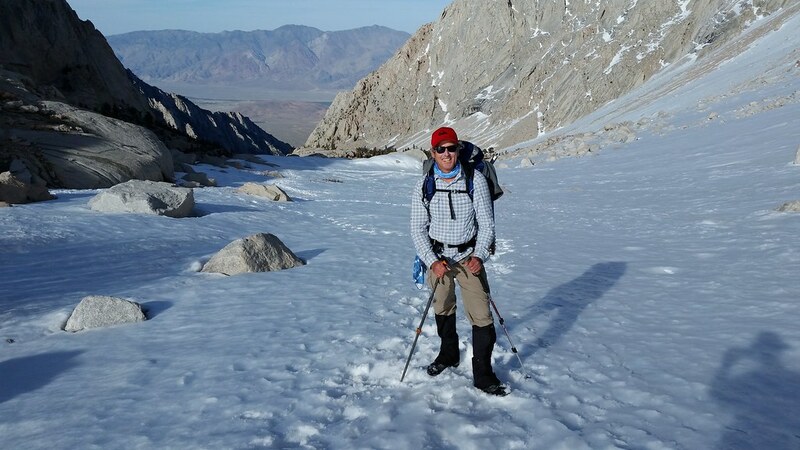 With current conditions, would you recommend crampons or microspikes? Wow, that's awesome! 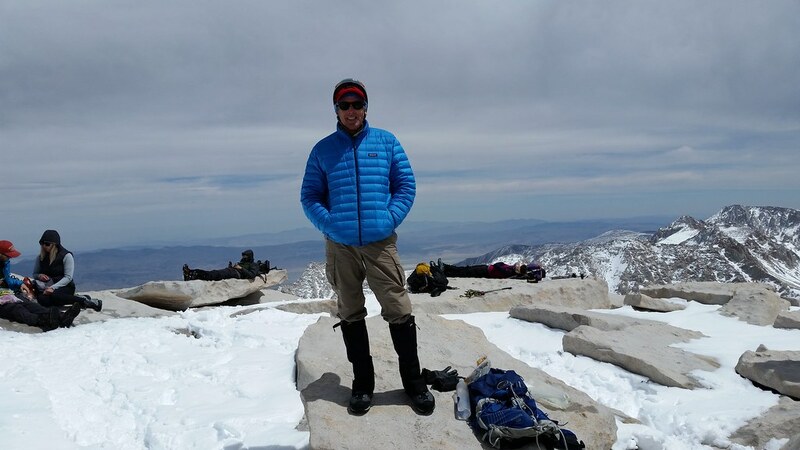 What time did you start your hike and what time did you summit? I'm going this weekend so I'm trying to get an idea about timing. Thank you! Lidia! Let us know how it goes after your trip! I'd love to hear about the weather conditions, your experience, and any tips you may have! If we don't get another dump, then spikes/hiking crampons will become more useful as the snow melts on the Chute. 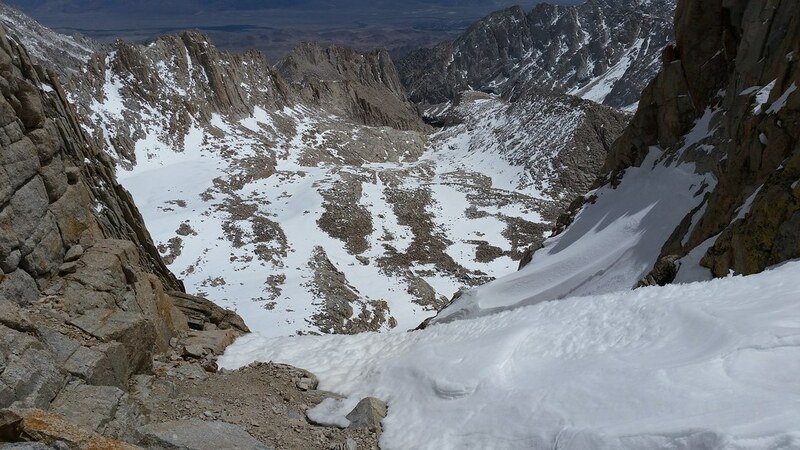 However, hikers should note that there is plenty of snow on the .1 mile section to the JMT junction, and then the entire 1.9 JMT run to the summit. So, plan on wearing whatever traction you have along that stretch as well. 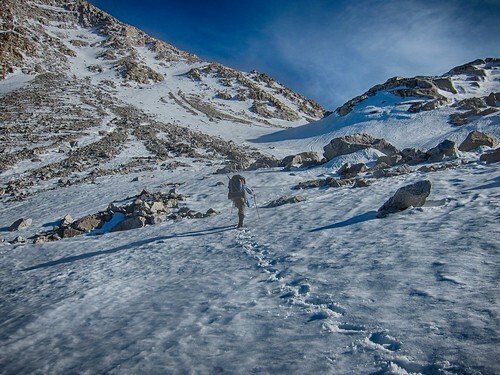 As far as timing, the day hikers were leaving the Portal at 3am, getting to Trail camp/Chute by 8am, gaining Trail crest by 10am, and hitting the summit around noon. So, yes, plan on averaging around 1 mph while there is still snow/ice. We had a perfectly luxurious start of 8am from TC because we were planning on spending a second night before hiking out & driving back to SoCal Sunday. 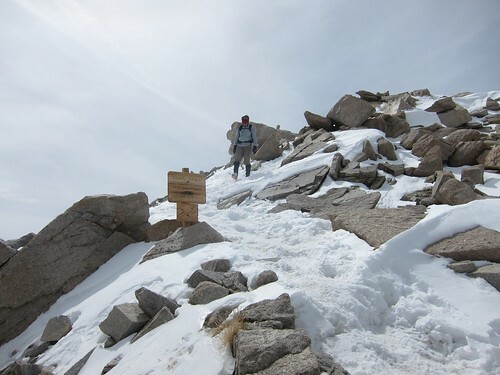 We took 2 hours to get to Trail crest/junction, then 2 to the summit. We hung out for an hour, and took 2.5 hours to get back to camp. 2 hours back to Trail crest, and a quick glissade and hike back to Trail camp. Hobbes, THANK YOU for posting the pictures! 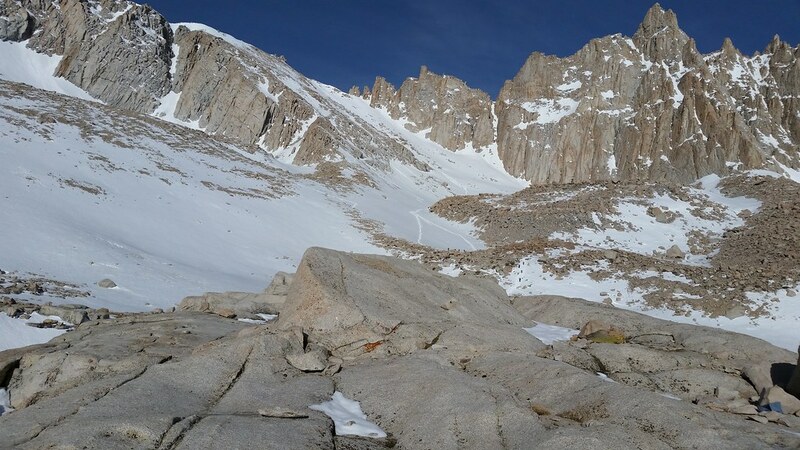 Here's one from Facebook by Lauren S, of the snow between Trail Crest and the JMT junction. It looks a little steep right here. Lidia, I am also planning to day hike this weekend on 5/13. I had 3 guest pass permit, but both of them bailed on me, so I am by myself and looking for company and would like to join any group. Please let me know if you or anyone reading this post has other friends that can join. And yeah, that's why you need to wear traction from Trail camp to summit, then back to Crest. Take 'em off for the glissade down, and resume till re-joining dry trail above Mirror. @Koti - No worries, it happens. I have an extra permit too. It's for an overnight but my group and I are going to do a day hike due to time. You're more than welcome to join us. We plan on starting our hike @ 12am Sunday am/Saturday night. I'll sent you a text. Bluebird skies and great snow conditions last weekend with Hobbes. 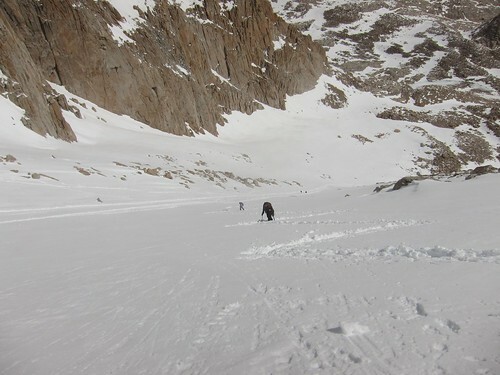 There was enough soft snow on the chute in the afternoon to make it possible to glissade down, but it was still firm enough in the morning to make the climb up reasonable. The snow is consolidated enough to walk on without post holing (glad I left the snowshoes in the car). That's beautiful. I especially love the last photo with the rainbow. I decided I'm getting my overnight permits for some time in the last 10 days of June. Any thoughts about how the snowpack will be looking then and what conditions to expect? 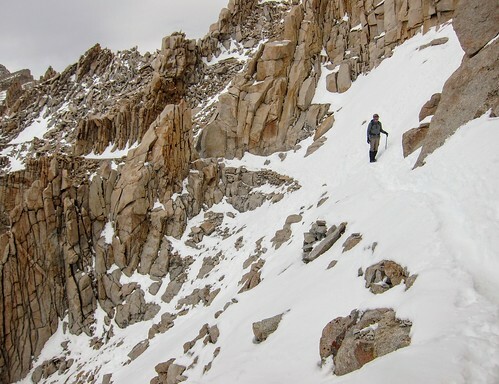 Whitney Portal, go along the regular Whitney trail till' trail camp, where it breaks off and you go to the chute? Generated in 0.423 seconds in which 0.411 seconds were spent on a total of 15 queries. Zlib compression disabled.